THE VISITORS from Stockholm Sweden is the most loving, joyful, musical, respectful and charming ABBA TRIBUTE you will ever see! Back in 1996 Martin Håkansson and Christian Fast was a big part of starting the ABBA-tribute band ”Waterloo”. Quickly they became known for their fantastic ABBA-sound and ABBA-look-a-like performance. The audience and press all agreed: ”This is the closest to ABBA you will ever get”. Since the very start the band has been touring Sweden, Europe, Asia and USA. In 2007, 2008 and 2009 THE VISITORS (Waterloo) did three longer domestic tours. In 2007 they were a part of a sold out ABBA-tribute (ABBA The Show) at The Royal Albert Hall in London, England and with ABBA The Show they did two longer tours, 2003 and 2008, in Germany. They have been touring, to name just a few European countries, Russia, Poland, Albania, Spain, Italy, Turkey and Norway. In Asia, touring has taken them to countries like Azerbaijan, Japan, Vietnam, India and the Philippines. 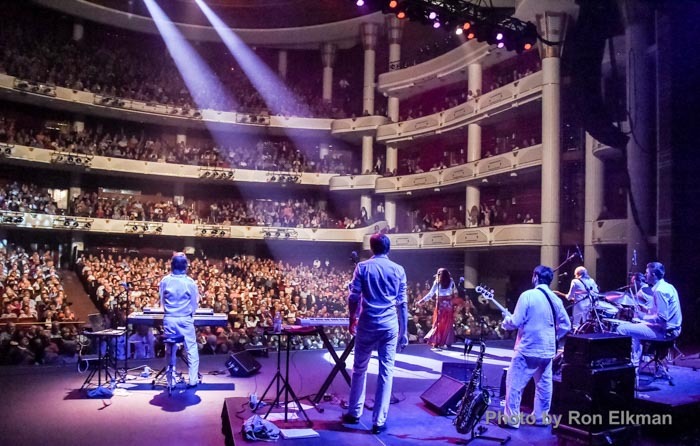 THE VISITORS (Waterloo) have also had the privilege to do extensive touring in USA over 20 times, starting back in 2002, with the 21st Century Artist Inc.-production called ”THE CONCERT – A Tribute to ABBA”. In this production, Patrik Lundström has been one of the front-singers since 2009. They have, so far, performed in 25 states and they have sold out venues like The Wolf Trap outside DC, The Fillmore Miami Beach, The Melody Tent Cape Cod and The Hollywood Bowl in LA. THE VISITORS (Waterloo) has in total performed in more than 25 countries all over the world. They have performed with many of the great musicians who once were original members of the ABBA rhythm section. It has, and still is, a great honor for the band to share the stage with these fantastic musicians: Lasse Wellander, Janne Schaffer, Finn Sjöberg, Ola Brunkert, Roger Palm, Åke Sundqvist, Mike Watson, Rutger Gunnarsson, Janne Kling, Johan Stengard and Ulf Andersson. Part from touring all over the world THE VISITORS (Waterloo) has been a big part of sold out Christmas-shows in Stockholm, Göteborg, Ronneby, Västerås, Ystad, Borås, Mölndal and Norrköping together with some of the most popular stand-up/pop/rock/musical stars in Sweden. THE VISITORS is also part of a production called THE TRIBUTE SHOW. The Tribute Show is the ultimate tribute-show to Elvis, Beatles, Queen, Michael Jackson and, off course, ABBA. They are at the moment touring Sweden with this show. THE VISITORS (Waterloo) has also, over the years, done hundreds of corporate shows for companies like: Fifa, Pernod Ricard, Korsnäs, SAAB, Choice, Volvo, SVT, IKEA, KTH, Länsförsäkringar, Electrolux, Odin Fonder, Kentaro, Stora Enso, Oriflame and many many more. At one of those corporate-shows they got the huge honor of singing ”Dancing Queen” to HRH The Queen of Sweden. In 2004 the band signed an exclusive management deal with Swedish production- and managing company True Entertainment (FTS Showbusiness). THE VISITORS and True Entertainment are always making plans on how to develop the show, to make it better and better. THE VISITORS will continue to remain in the ABBA-tribute-top, playing the great music of ABBA with the same love and respect as always. They will keep up the fantastic quality of the music, to remain the most professional ABBA production on the market. A development of the show will always continue to give audiences all over the world what they’re paying to come and see: ”The best ABBA since ABBA”.